This is a concept mobile application design which is generating videos with negative quotes for social media. Videos are generated and influenced by vibrations from sounds and movement. Once the scene generated, it will be automatically posted on social media. It helps people express negative emotions which rarely exist in online spaces. We are used to sharing everyday life through the social medias. Perhaps to draw more responses and likes in online spaces, we are used to bragging, showing off and decorating what we experienced, while unpleasant events and negative feelings are engraved in our minds. The negatives hardly get a chance to be expressed. We take photos and videos of everything — literally everything; a concert, meals, new electronics, outfits, fancy restaurants, pets, etc. And without hesitate, we post everything on social medias in a second but crummy issues. 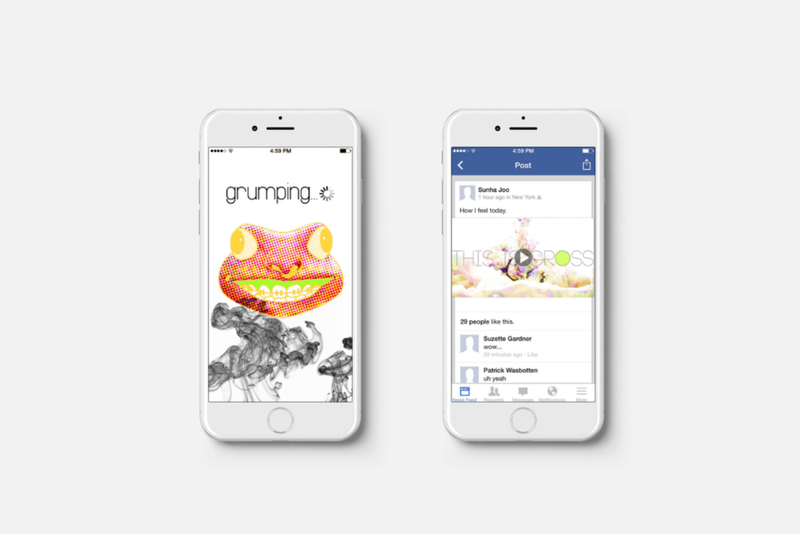 Grumpy Frog is a virtual service animal who helps people to express negative emotions by automatically generating videos and posting it on its owners social media. 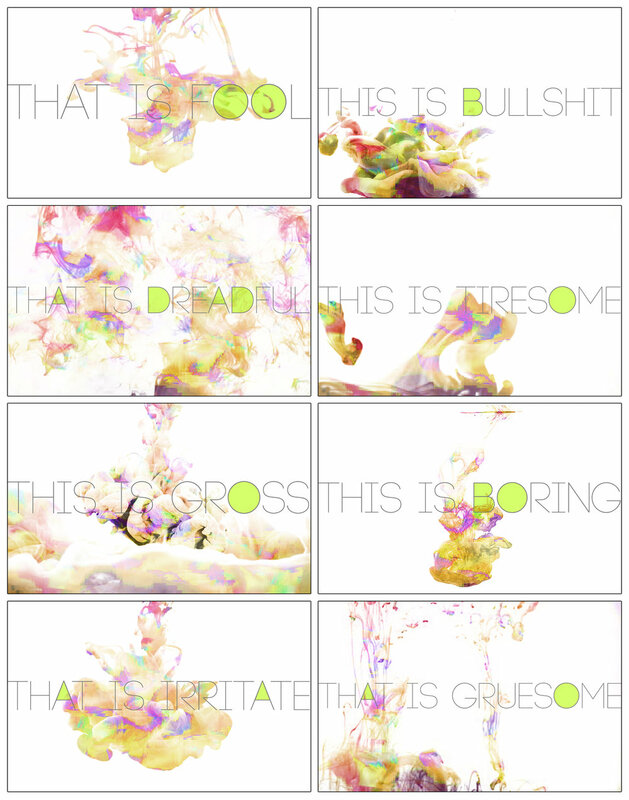 Motions and phrases in the video are interacted with unpleasant sounds and vibrations.